When I switched from Windows XP to Windows 7, I was happy I didn’t need to install any drivers. The new operating system just recognized everything (less the printer, but that’s another story). However, there was a minor glitch: the front panel audio jack stopped working. That was a bit annoying, because I wanted to have the speakers plugged in the rear jack and the headphones in the front jack, so I can use whatever I wish without needing to plug and unplug cables all the time. Unfortunately my version of the Realtek driver didn’t look like the one in the screenshot above, so I needed to try something else. 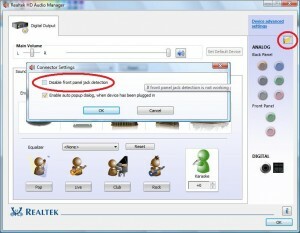 There was no option to disable the front panel jack detection. It worked for me but there were people in that forum who said it wasn’t good for them. Anyway, if you don’t know what else to do, you can give it a try, too. 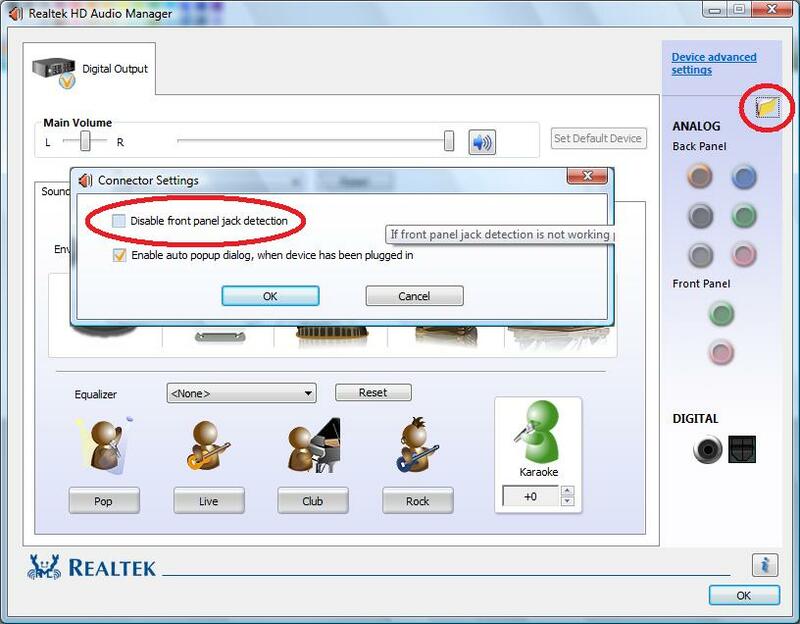 0 Respones to "Realtek Front Panel Audio Jack Not Working After Upgrading To Windows 7? Here’s How To Fix It? Hear is solution"